System manufacturers are continuously looking to encourage and increase the integration of vision technology. Companies such as Scorpion Vision and Integro Technologies are addressing this through offering complete out-of-the-box vision solutions of pre-configured hardware and software that can simply be unpacked and plugged together on delivery. System integration is also being aided by a new industry specification developed by the VDMA and OPC Foundation that facilitates better co-operation and information transfer within vision-based projects. 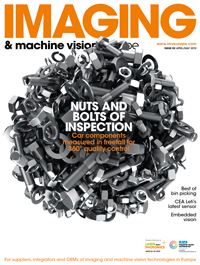 Industry standards and regulations that govern machine vision projects are fundamentally important for easing system integration, as they define the mechanisms of co-operation and the information to be exchanged. Standards such as those in the VDI/VDE/VDMA 2632 series are examples of this, as they structure and facilitate communication between suppliers and users of machine vision. 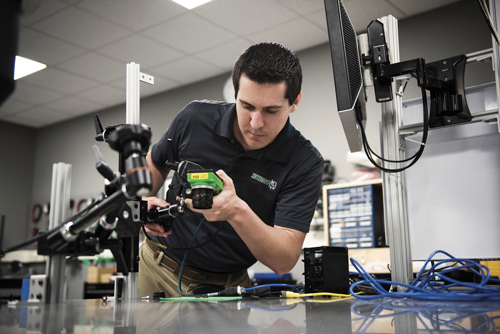 According to Wendel, standards promote a better understanding and promotion of machine vision technology, increase the acceptance of machine vision among users thanks to compliance with a standardised approach, and reduce risk for system integrators. New standards, practices and regulations are continuously being developed – in June 2016, the VDMA Machine Vision and the OPC Foundation signed a memorandum of understanding to develop a machine vision companion specification for OPC Unified Architecture (UA). ‘The OPC UA companion specification for machine vision aims at the straightforward integration of machine vision systems into production control and IT systems,’ explained Wendel. ‘The scope is not only to complement or substitute existing interfaces between a machine vision system and its process environment by OPC UA, but rather to create non-existent horizontal and vertical integration abilities to communicate relevant data to each of the authorised process participants, for example right up to the IT enterprise level.’ Wendel explained that through the OPC UA interface, relevant data now has a higher reach to IT systems within production lines and enterprises. Because of the now higher reach of relevant data and a managed data flow by the OPC UA, users of machine vision will benefit from new application abilities and business models. Also, according to Wendel, a commonly accepted interface with global reach will reduce implementation times and lower development costs for system integrators and users of machine vision systems. UK vision firm Scorpion Vision has eased the integration of its vision systems by offering them as a complete package of pre-configured hardware and software. This reduces risk to the customer and the amount of on-site testing that needs to be done before the system can be used. Starting out as a machine vision software developer, Scorpion Vision used to recommend that its customers download and install the company’s programs directly onto their individual PCs. This could be problematic, according to Scorpion Vision’s managing director and newly appointed UK Industrial Vision Association (UKIVA) chairman Paul Wilson. ‘No two PCs are the same; you’ll get different performance and driver issues,’ he explained. ‘So what we’ve done is standardised on an industrial PC platform; we only ever ship the same hardware.’ Scorpion Vision’s software is now sold and delivered pre-installed on selected PCs. In doing this the company removes any risks of disrupted functionality because of differing hardware. According to Wilson, when he started in the field, integration was mostly dependent on the strength of the machine vision software. While this is still fundamental, he said, now, ‘when it comes down to integrating, you’ve got to make sure that you have the automation components ready, because if you don’t, then you have to go and buy them from somewhere else and put them together and test them. Scorpion Vision serves market sectors such as automotive, bakery, food and beverage, aerospace and logistics. Thanks to the company’s standardised approach to vision solutions, there is little variation in its integration process across these sectors. Environmental and hardware factors such as this need to be considered by system integrators before designing a complete vision solution. Integro Technologies has established seminars and training courses for those who aren’t familiar with the technology. Twenty five per cent of Integro Technologies’ business now incorporates 3D vision, according to Farley. ‘The advances in 3D technology in the past two to three years have made projects that were impossible to do before completely possible with the right application of hardware and software,’ he said. The application platforms of 3D vision technology are still developing, Farley said. ‘We see 3D vision technology being used in conjunction with robotics as the next evolution of machine vision integration,’ he said. Robots guided by 3D vison are already being built. Ocado Technology’s Dr Graham Deacon will give a keynote speech at the UKIVA Machine Vision Conference in April in Milton Keynes on the challenges of developing a 3D vision-guided robot capable of picking and placing fruit and vegetables for shopping orders. Improvements in the speed and data transfer of sensors, along with the development of smart cameras, are also factors Farley believes to be responsible for increasing system integration in recent years. ‘We have systems currently inspecting 10,000 parts per minute,’ he said. ‘In a six millisecond span we need to take a picture, make a decision and give them an answer. These days this is only achievable with the data transfer rates that have become available. ‘From an ease of integration standpoint, the advances that have been made in smart camera software has also been a huge leap forward,’ Farley continued. While this has made integration possible by customers without expertise, certain systems based on smart cameras lose flexibility in complex applications. There are now more organisations supporting the OPC UA as the interoperability standard for horizontal and vertical information integration, VDMA’s Wendel said. ‘Each sector group is asked to develop a companion specification: i.e. to decide which sector-specific services and information is offered, and which information and data is to be transferred,’ she said. ‘In connection with Industry 4.0, the relevance of a machine vision system will increase as a measuring instrument for process data acquisition,’ Wendel continued. ‘The OPC UA interface will provide the basis for plug-and-play integration for a machine vision system within its process environment. These benefits will further enhance growth and use of machine vision systems significantly.